The program will expand your knowledge of the foundations of yoga, transform your yoga practice, and deepen your understanding of yourself. Successful completion of the course meets the necessary requirements by Yoga Alliance to become a 200-Hour Registered Yoga Teacher. The training will give you practice, confidence, and knowledge to step into the role of the teacher and share the wonderful art, science, and philosophy that is yoga. You’ll learn to cultivate your inner teacher and realize your true greatness. Prior to registration please confirm there are no conflicts with these dates as attending all training weekends is required. 25% non-refunable tuition deposit is due when registering prior to July1. Students who choose to register after July 1 will need to pay tuition in full at registration. Any accounts with an outstanding balance will be removed from the training. Registration will close early if enrollment reaches capacity. If a student chooses to apply a VSAC grant and/or loan they are first required to pay tuition in full by the registration deadline and be reimbursed when funds are released from VSAC. Dispersant takes place after the first weekend of the training. Cancellation & Payment Policy: If a student decides to withdraw from the training any payments will not be refunded. If the student has a medical condition that makes it impossible to complete the training we will refund the student less the cost of each weekend the student has completed in the training and the 25% nonrefundable deposit. In order to be refunded, the student must submit a physician’s written statement. The Campus Recreation Fitness Program reserves the right to remove any students from this program if they do not meet the program expectations without refund. Students may not attend the training if they have an unpaid balance. If you are considering this program, then you already realize the transformative power of yoga. This opportunity will deepen your personal practice, provide training to teach professionally, and give you a full foundation of all aspects of yoga. 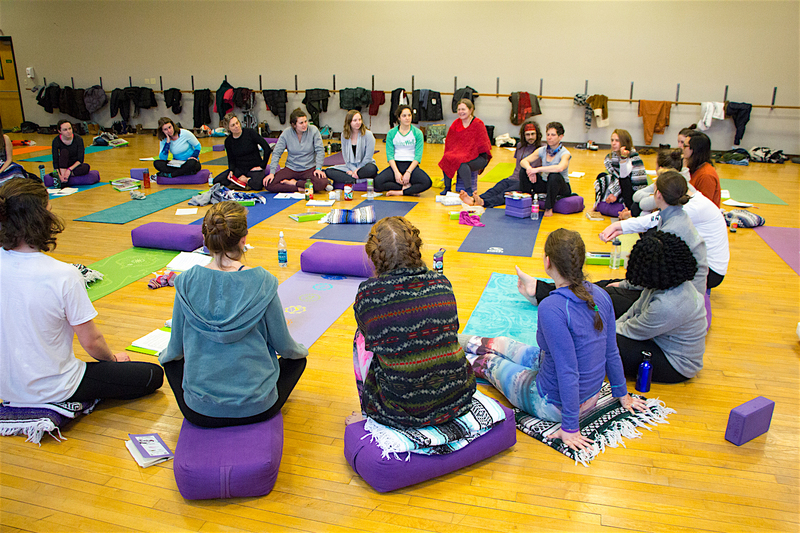 The UVM Campus Recreation Yoga Teacher Training program gives students the unique opportunity to receive a Yoga Alliance 200-Hour Teacher Training at a reasonable price. This training meets the same requirements as all other certified programs and at a price that is the highest value dollar for dollar. Come be part of a supportive community that will transform your practice and help you take on the distinguished role of a yoga teacher. Besides the weekend training sessions, one of the aspects of this unique program is the opportunity for students to practice teach within campus departments and organizations in the UVM community. Arrangements are made between host organizations and the student to work out the best schedule. Assistance is provided to find appropriate hosts for every student in the program. These Thursday night sessions are a great chance for students to stay connected with each other while practicing. After each class, 1/2 hour is set aside to have open group discussions about yoga, teaching, and anything else that comes up. Each student will be required to attend all weekend sessions. If students miss a training and want to be considered for receiving a certificate, it is their responsibility to submit a plan in writing of how they will make up the hours missed. [This appeal process is limited to one per student. This appeal must be approved by the instructor prior to the program graduation date.] Even though there is a possibility of graduating without attending all weekend sessions through this appeal process, it is strongly advised to do everything possible to attend all sessions. While the hours can be made up, the experience of these weekend sessions cannot be made up. Group Teach: Teach one Saturday class in the Spring semester from 10:30-11:45am. This is a teaching opportunity for each student to teach a full public group fitness class with 4-5 other teachers who are in the training. Each teacher in the group is given a 15-minute slot in the class to teach. The group will work to put together a collaborative class. Expectations: It is our expectations that at each training students display a beginner’s mind, display an interest in delving into intellectual learning, and display aspirations to transform and evolve. Monthly Responsibilities: We expect students to continue their personal yoga and meditation practice. Assignments will include, but are not limited to, journal writing, reading/writing, drawing, practice teaching in small groups outside the teacher training on and off campus, class observation, weekly class attendance with John (class fee included as part of the teacher training tuition) through Campus Recreation Fitness Programs. Preferred pre-requisites: Students registering should have a sincere dedication and passion to evolving their yoga practice. We recommend students have a foundation to build from such as a regular physical yoga practice of at least two times a week for one year prior to the training. Please note the more involved students can become in a yoga community after registering the more they will offer to the group dynamic during the training. Please bring: yoga mat, personal journal, pen/pencil, and any required readings for session. 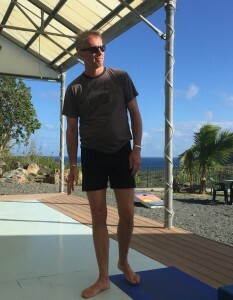 Experienced Yoga Teacher John McConnell teaches yoga classes and workshops in Vermont and Massachusetts. He has studied yoga since 1999 and teaching since 2002. John’s teaching style is light-hearted and supportive. He loves to help students not only develop in their yoga practice, but also grow as positive contributors to society. John believes the practice of yoga unveils the innate goodness in all of us. His physically challenging classes help students push their limits and deepen their experience and understanding of themselves and the world around them. Students describe his classes as hands-on, supportive, relaxed, and non-competitive. Students feel safe and well-cared-for. “John has a wonderful demeanor and is helpful and encouraging… his explanations are very clear…I enjoy his great humor and welcoming approach.” John is the founder of Fabulous Fridays! and JohnMcConnellYoga.com, John currently teaches in the Burlington community and at UVM, where he developed UVM’s “Yoga & Mindfulness” program. He also produces weekly online yoga videos and teaches yoga for kayakers at kayak symposiums across the country. In addition to John McConnell, we are committed to providing students a wide range of guest lectures and the support of an assistant for the full training.